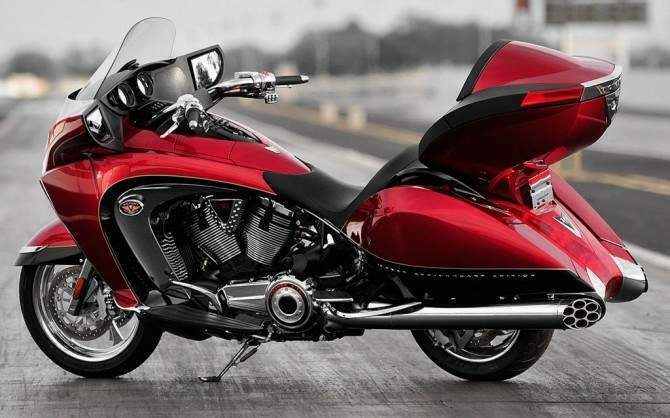 10th Anniversary Victory Vision® To celebrate the 10th Anniversary of Victory motorcycles, Victory has taken 10 years of innovation and progressive design and put it into the most exclusive motorcycle the company has ever offered — the 10th Anniversary Victory Vision. Only 100 of these exclusively-numbered, limited-edition bikes, based on a 2009 Victory Vision Tour, will be produced. The 10th Anniversary Victory Vision takes the class-leading comfort and breakthrough styling of the industry-changing, American luxury-touring cruiser and adds to it numerous special features. 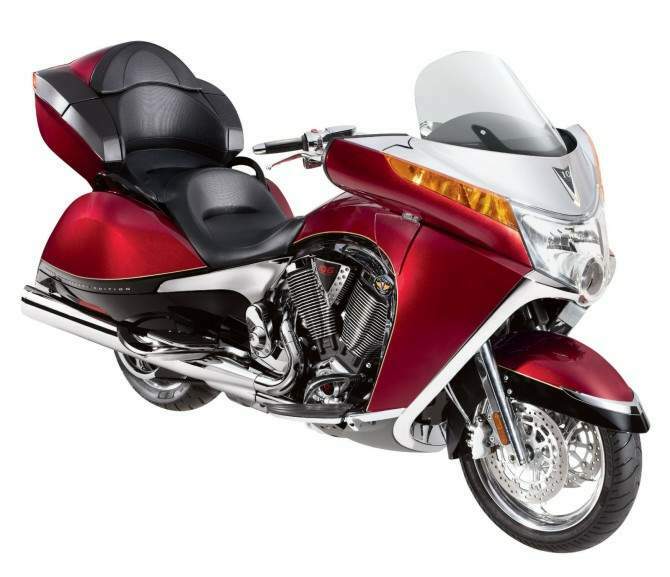 The bike is equipped with extra chrome trim including chrome inner leg fairings, side covers, access panel, grilles and a High Intensity Discharge headlight. 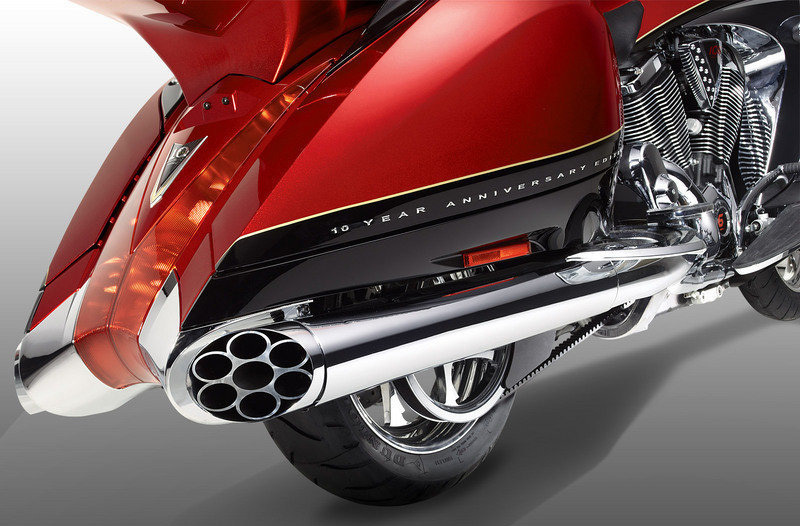 A special anniversary paint scheme of Antares Red with Black Metallic accents and gold pinstripes – essentially the same colors used on the first Victory Motorcycle ever built 10 years ago – accompanies a special 10th Anniversary badge above the taillight and on each side storage compartment. Additional features include heated handgrips and seats, an electronically controlled windscreen, communications and “infotainment” devices such as XM Radio, CB radio, driver-passenger communications systems and a Victory Vision GPS system.